At The Ohio State University and the College of Pharmacy, we value diversity in people and ideas. We’re an inclusive, supportive community where you can comfortably join in and confidently stand out. Diversity is a core value of our college that we do not take lightly. We strive to provide an unsurpassed, student-centered learning experience led by engaged world-class faculty and staff, enhanced by a globally diverse student body. The College of Pharmacy will be culturally proficient, with a population reflective of the larger society that fosters an inclusive environment and engages in the global community. We recognize that patient care is a complex negotiation between the provider’s judgment and the patient’s unique background and experiences. We know from research that gender, race, ethnicity, and other components of diversity such as sexual orientation or religion, impact how patients receive, interpret and act on health information. As a college, we are working to ensure our students are ready to interact with the world around them, starting in our classrooms. With this in mind, we’ve taken steps to improve as a college and as a profession. In past years, our pharmacy family has grown to be represented by many different nationalities and races in our students and faculty. The United State Census predicts that racial, ethnic and cultural minorities will make up the majority of the United States population by 2043. When you closely examine today’s pharmacy workforce, you will find that pharmacy does not mirror today’s patient population. 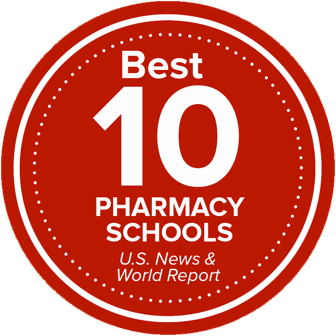 To help better serve communities around the world, Ohio State is actively working collaboratively to enhance the racial, ethnic, and cultural diversity of the pharmacy workforce through recruiting more underrepresented and minority populations into pharmacy schools and pharmacy faculty. Check back regularly for upcoming events that enhance our commitment to diversity. We host an annual diversity week and lectures dedicated to the topic of diversity.